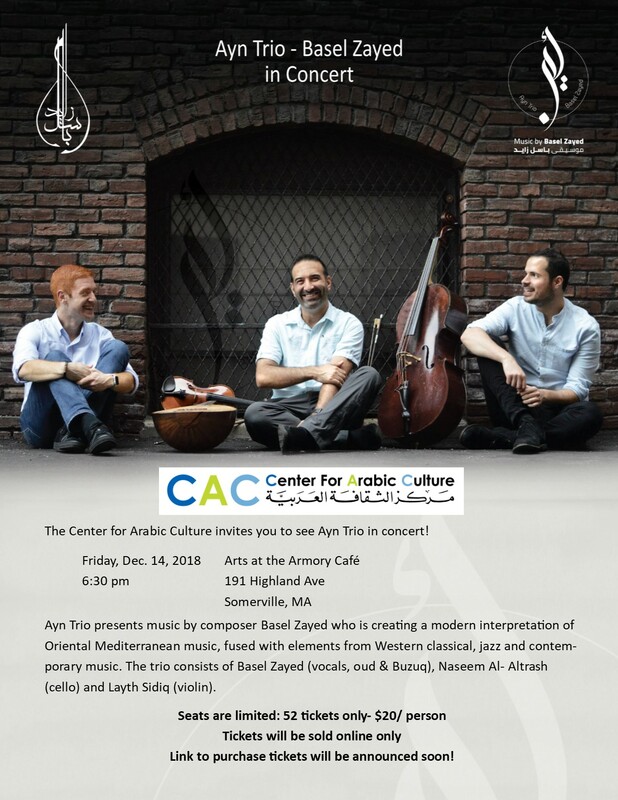 Ayn Trio presents music by composer Basel Zayed who is creating a modern interpretation of Oriental Mediterranean music, fused with elements from Western classical, jazz and contemporary music. The trio consists of Basel Zayed (vocals, oud & Buzuq), Naseem Al- Altrash (cello) and Layth Sidiq (violin). Read more about the group here. You can also listen to them perform! Posted in CAC Event, Concert, Culture Club.